No Place for Kids is now available! 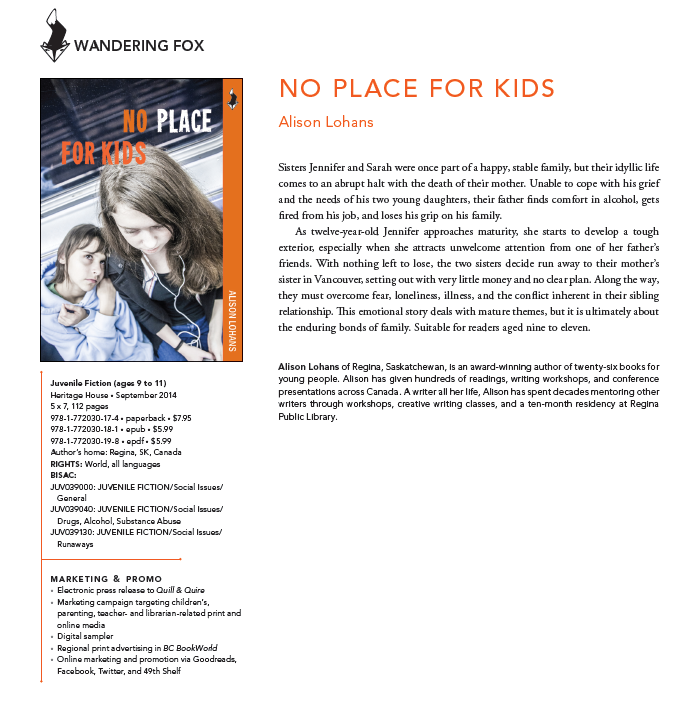 Alison Lohans’ book No Place for Kids, first published by Roussan in 1999, was re-issued in fall 2014 by Heritage House in the new Wandering Fox imprint. It is available in paperback and ebook format as an epub or an epdf. No Place for Kids tells the story of two young girls who leave a dysfunctional home life to re-connect with family elsewhere, and get stuck along the way. Its gentle treatment of children’s homelessness makes it an ideal conversation-starter for this difficult issue. 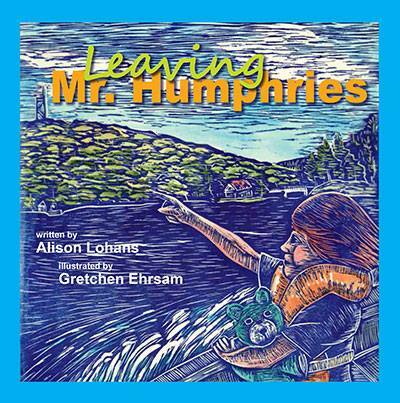 The book was originally written to tell “the other side of the story” of Alison’s Mystery of the Lunchbox Criminal, which was published by Scholastic Canada in 1990 as part of their Shooting Star series for young readers. The first release of No Place for Kids was a finalist in the Children’s Literature category of the 1999 Saskatchewan Book Awards. 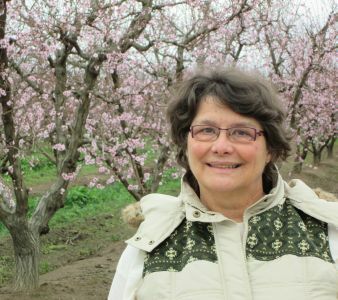 It also received a Canadian Children’s Book Centre “Our Choice” citation as well as being selected by Resource Links for inclusion on their “Best of 1999” list. Download a pdf of the No Place for Kids press sheet. For more information go the No Place for Kids page.